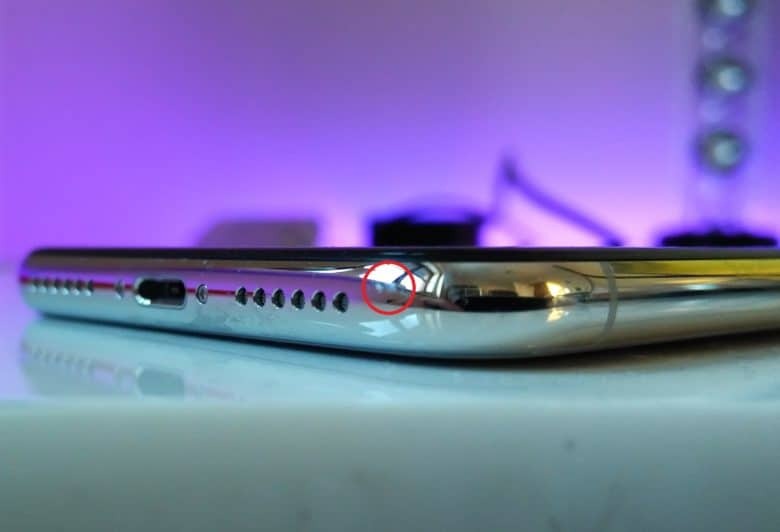 Be honest about wear and tear on your old iPhone. You can give away your old iPhone, or sell it, but before you do either of those you need to do a little prep work. Today we’ll see how to find out how much your old iPhone or iPad is worth, and then how to make it safe to sell. If you want to buy a used phone, you should take some precautions. If you’re in the market for a new smartphone, checking prices could give you a serious case of sticker shock. Both the iPhone 7 and Google’s Pixel start at $649 and go up from there, with a top-of-the-line iPhone 7 Plus selling for $969. If you’re OK with having something that’s a little less than the latest model, going with a used phone can save you a bundle. The downside? Getting a good deal — and a phone that works — takes more effort than buying a new phone off the store shelf. 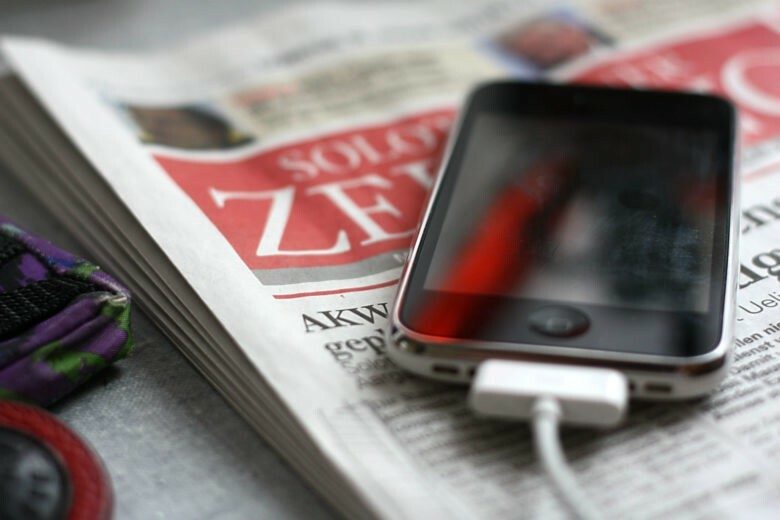 If you’re willing to put in some legwork to save cash, here’s what you need to know about buying a used cell phone — and seven questions to ask before doing so. One of the biggest questions surrounding the Apple Watch is how well its value will stand the test of time. Will Apple offer some sort of upgrade program for the opulent 10K Edition model? Will the tech-laden timepiece on your wrist be obsolete in two years? 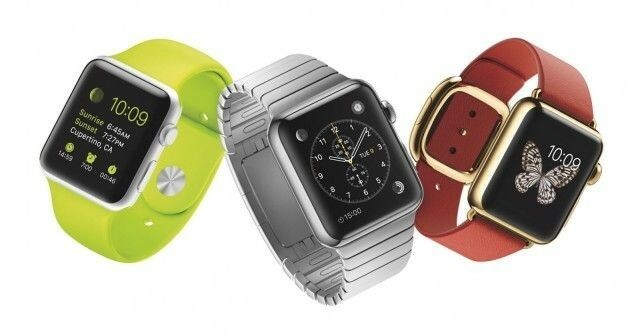 Gazelle is banking on there being a thriving market for used Apple Watches as early adopters upgrade, much like there already is for used iPhones and iPads. The company announced its new trade-in program today ahead of the Watch’s April release. 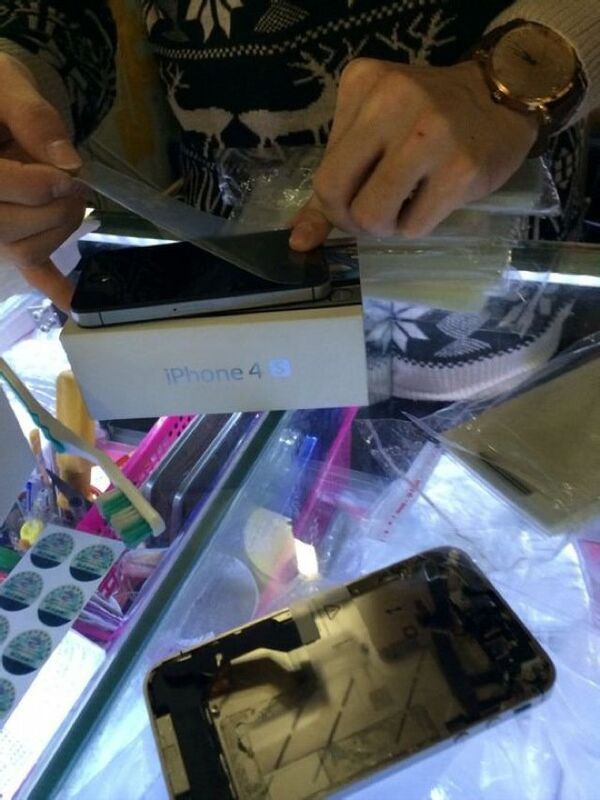 When you sell your old iPhone to a third-party, what happens to it? It enters a thriving third-party marketplace in China, where it is restored to almost new and sold in gray and emerging markets. Weird! Thinking about upgrading your old iPad to an iPad Air, or a new iPad mini with Retina display? Well, Target wants to help. 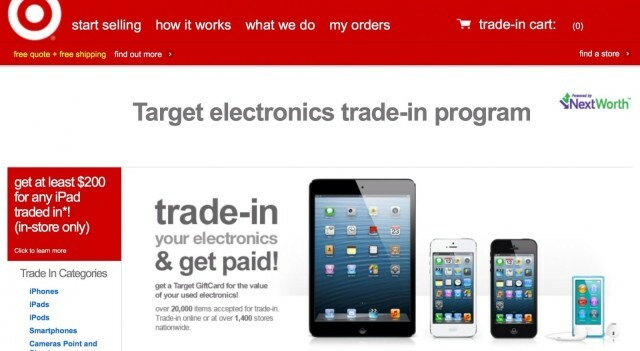 The retailer is now offering customers at least $200 in store credit when they trade in any old iPad, including the original model. This post is brought to you by Gazelle. Have you recently gotten a new iPhone, iPad or MacBook? 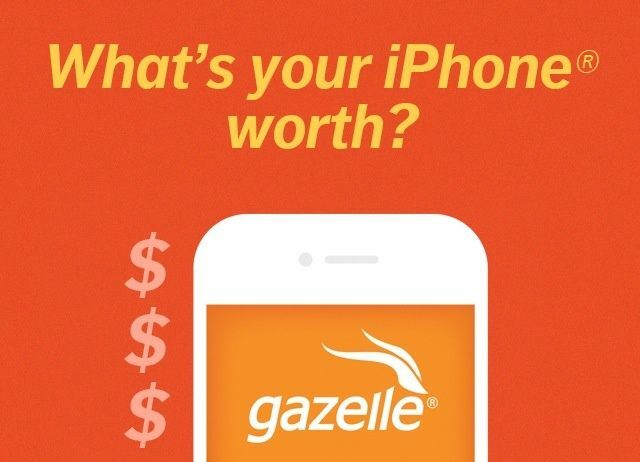 Before you get a new one or if you already have it, make sure you sell your used phone or gadget to Gazelle for cash! Don’t bury last year’s gadget in a drawer — find out what it’s worth on Gazelle.com. Gazelle takes the risk and effort out of selling electronic gadgets online with benefits such as free shipping and packaging and comprehensive identity and data removal. To date, Gazelle has accepted more than one million trade-ins, helping consumers upgrade to the latest technology and earn quick cash. 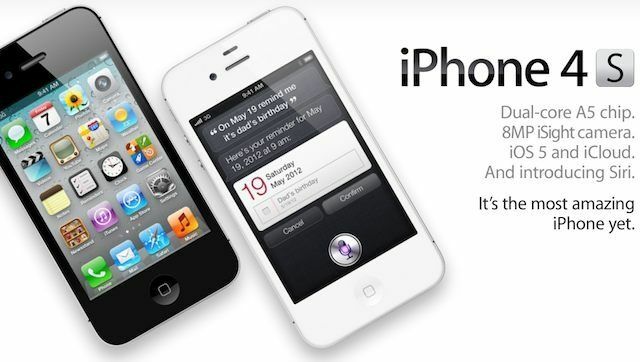 If you didn’t sell your iPhone 4/4S before the announcement of the iPhone 5, you’d better do it soon before its value drops considerably. 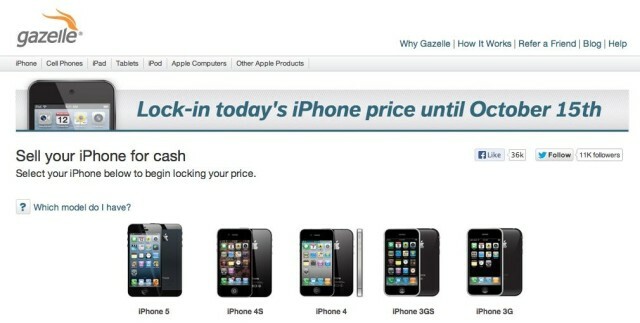 Reports have already come in that iPhone trade-in prices have started to drop on most major iPhone trade-in sites. In the two days since Apple announced the iPhone 5, values on used iPhones have already dropped as much as 8%. 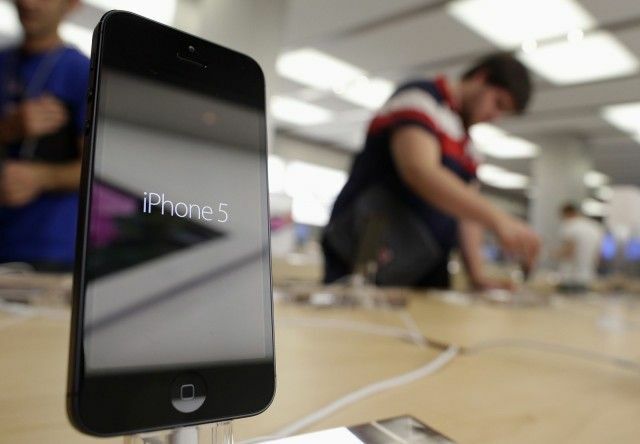 Once the iPhone 5 hits shelves next week, values are expected to drop even faster.